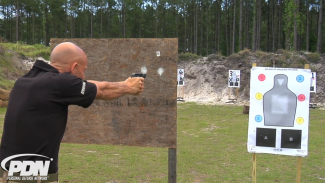 What makes someone a better defensive shooter: modifying their carry gun or training and practicing more? Riley Bowman of ConcealedCarry.com feels strongly about the subject of modifications to handguns. Students have attended his classes with compensators, ported barrels, and trigger jobs that might make the gun really cool but don’t necessarily make the person using the gun a better defensive shooter. Although these modifications may help shooters make some otherwise impossible shots that have nothing to do with defensive shooting, they do not help students learn the fundamental application concepts. What does Riley recommend for how beginning shooters should spend their time and money? Riley encourages shooters to spend their money on ammunition and their time on training and learning the skills. Once a shooter has established the baseline skills through handgun training and practice, some handgun modifications are worthwhile. Riley believes that modifications that make handling and using the gun easier are good investments. These include adding an extended magazine release and extended slide stop. Replacing the less-than-ideal factory sights with improved sights is a plus for many handguns. Improved sights can help you establish a sight picture with trickier shots. Also, considering the low- or no-light conditions most defensive encounters take place in, a weapon-mounted light is a great tool to have added to your handgun. It’s the old hardware versus software question: Your gear is not going to save you if you don’t have the skills. The best plan may be to do some training and practice first to become familiar with your carry gun, work on shooting drills, then see which of the above modifications will benefit you, add them, and get back out and train and practice some more. Good advice. I have several Glocks and make only a couple mods to them. I do have different fiber optic or tritium sights on them, but some mods I make to all of them. Extended mag and slide stop releases and a Ghost 4.5 lb connector on all of them. That way I can pick up any of them and have them work and operate basically the same as any of the others. I take some exception to the weapon mounted light. There is a time and place for everything, and this is speaking just for me however here goes. My personal weapons are not light equipped, however I have 40 years experience using them. I was recently issued a Glock with the light mounted and while it is only a few ounces I notice a “sluggishness” in handling this weapon. I am absolutely aware that you have to have adequate light to identify the threat and that there are areas that are dark enough that the weapons mounted light is the correct answer unfortunately these areas are less and less common. In 30 plus years of semi rural law enforcement and 6 years of military application I have not personally found a time that the speed of a close quarters confrontation is something I am willing to trade for the stated sluggishness in handling of the mounted light on a handgun. I feel a mounted light belongs on long guns only. Just my humble opinion and I be I take a beating on that. Really good advice. One thing I have learned from the military. 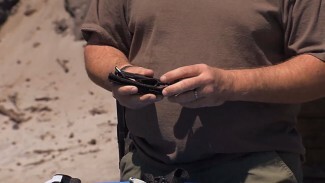 You have to be able to pick up any firearm including a downed threats firearm and be able to accurately fire it. Only modifications that I see are for disabled shooters.